Last month I harped about Thoroughbred sales companies' failure to update auction catalogs for the 21st century. The Inglis Bloodstock online listings for the 2009 Australian Easter Yearling Sale show some forward thinking that is rare in our industry. There's new "advanced search" functionality to make the catalog more easily perused. The sale's media filter allows you to jump to photos -- multiple photos! -- and video of many hips in the sale. The site is set up to be useful to Internet users, and doesn't come across as an afterthought, slapped-together imitation of a print catalog as is seen with some other sales companies. Take a look at hip #17 as an example. You see an embedded version of the catalog page -- just click on it for the full PDF download. Off to the right is a photo of the Redoute's Choice (AUS) (SRO) colt that makes up lot #17, and just below that a link to a free farm video of the yearling. 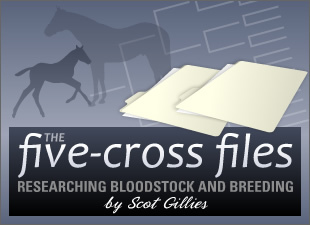 Back on the catalog page, we find a four-cross pedigree, which while still too short for my preferences is a nice bonus over the industry-standard three-cross lineages found in catalogs. Australia has one of the strongest racing programs in the world and its enthusiastic fans are the envy of many other racing nations. Inglis is doing a bang-up job contributing to the world-class Thoroughbred racing and breeding industry "Down Under."